Speaker interview: Mel Torrie, Autonomous Solutions Inc.
Mel Torrie, founder and CEO of Autonomous Solutions Inc, discusses how the company is already automating today’s off-highway vehicles, making human operators’ jobs more pleasant, while not putting them out of a job. 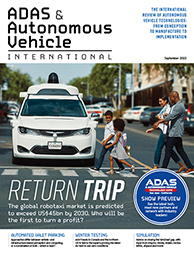 Autonomous Solutions Inc. (ASI) is a leader in commercial ground vehicle autonomy. Our technology is revolutionizing industries like mining, agriculture, automotive, and material handling. My presentation will focus on ASI’s recent developments in these areas and what kind of an impact automation is having on these industries, including off-highway-specific vehicles and operations. What is the focus of your work in autonomous off-highway vehicles? 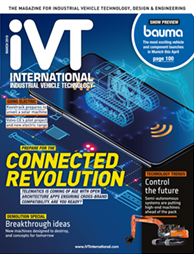 ASI’s technology is universal and OEM-agnostic, meaning it can be applied to just about any vehicle in just about any industry. Our focus in off-highway vehicles is on automating highly repetitive tasks, highly dangerous tasks, and highly boring tasks. There are many opportunities and great use cases in the mining industry, construction, and agriculture, and others, where automation can offer great returns and a smarter, safer way to perform the job at hand. Which areas of off-highway vehicles are most suitable for automation? We’ve made great strides with the technology and its application to off-highway vehicles. Mobius, the command and control software that we have been developing for over 18 years, enables companies to simply automate these processes and offers complete control of multiple vehicles by a single operator. This software is an enabler to incorporate higher levels of safety, repeatability, accuracy and efficiency. How far has Autonomous Solutions come with the automation of off-highway vehicles and how is it already changing the vehicles of today? It’s our intention to deliver a safe and simple-to-use product and so our customers have found that Mobius doesn’t require a highly technical engineer to operate the system. In fact, many of our customers are using technicians to become operators within Mobius to oversee the vehicles and their operation. We see human operators always playing an important and necessary role in operating Mobius. The technology just provides one more layer of safety to ensure the work is carried out properly and always gives the technician the final say, ensuring the correct response when notifications come back from the vehicles in the field. Automation in these fields is only in its infancy, but is already having a great impact. As more and more companies adopt automation, the technology and capabilities will continue to mature. The possibilities truly are nearly endless! 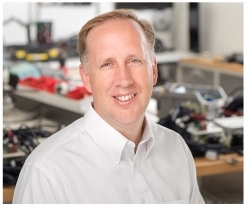 Mel Torrie will give a presentation entitled State-of-the-art technology for driverless industrial vehicles as part of the Autonomous Industrial Vehicle Technology conference. Click here to book your delegate pass, which gives you access to all four conferences.